Setting up an archaeobotany lab and selecting the right sorting tools and microscope. Planning recording practices and designing a macrobotanical analysis sheet. Building reference collections of books and botanical specimens of African taxa. Distinguishing charred seeds from morphologically similar particles in a sample. Starting with the samples excavated from what we now believe to be be cooking hearths, they identified whole and partial charred seeds from numerous weed taxa (especially Portulacaceae), and two different types of ‘millet’, which are consistent with Sorghum bicolor, and Eleusine coracana; a hugely important discovery since previous archaeobotanical sampling at Engaruka had only recovered Sorghum. 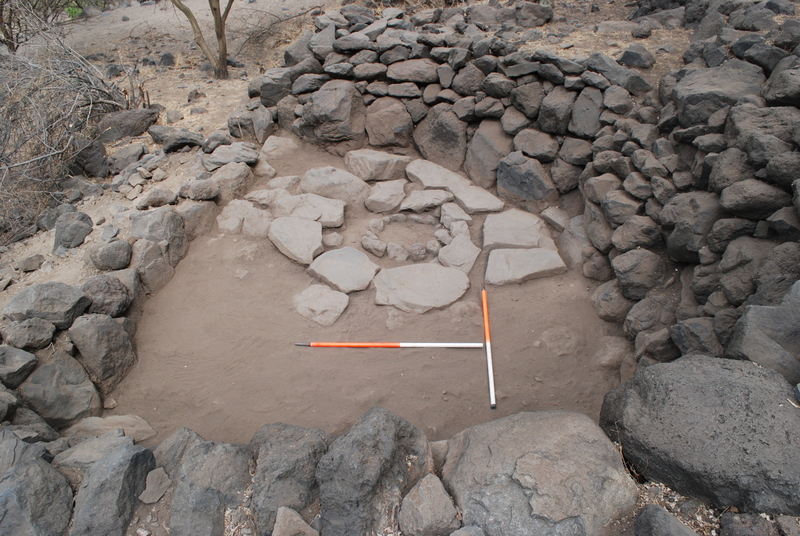 They also encountered a stem fragment from a genus of river cane, Typha sp., used ethnographically as thatching material, which adds tentative support to physical evidence suggesting that the structures containing the hearths originally had roofs. 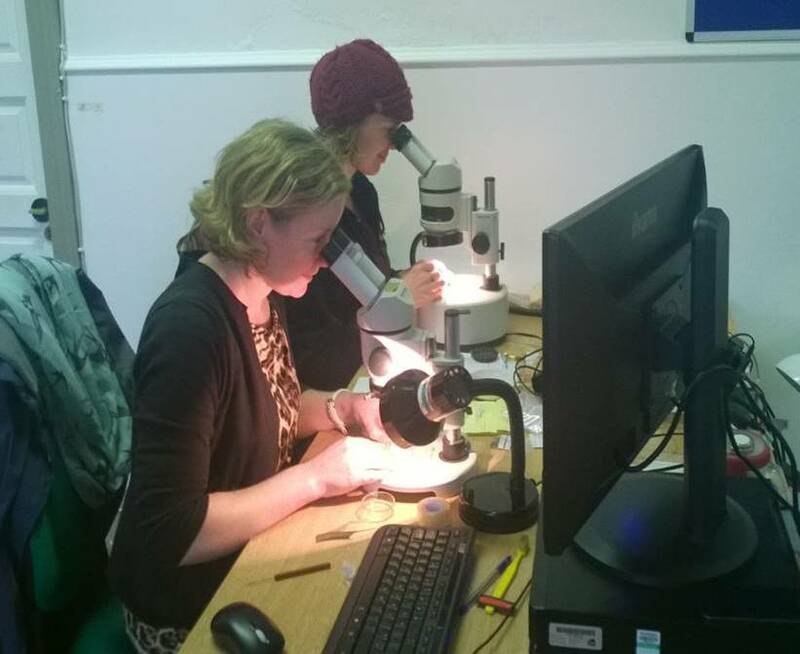 In February, Senna travelled to London in order to participate in Professor Dorian Fuller’s intensive short course ‘Archaeobotany Analysis in Practice’. She brought along her collection of seeds sorted from the Engaruka samples and hoped that during the course she would be able to confirm existing identifications and establish the identity of several unknown seeds. The course focused on the microscopic observation of seeds originating from Professor Fuller’s vast botanical reference collection. Senna and her fellow classmates were challenged to view, illustrate, and identify dozens of taxa from archaeological and modern contexts. Learning was facilitated through a combination of lectures, identification quizzes, and group participation. Senna contributed samples of seeds she gathered in the local markets near Engaruka to the UCL reference collection, an archaeobotanical tradition of thanks and goodwill. Professor Fuller helped confirm the identification of these seeds and the charred seeds from Engaruka. The most exciting revelation of the week was the identification of Panicum miliaceum, thus increasing the number of millets at Engaruka from two to three. On the last day of the course, Professor Fuller took the group to lunch at a local Indian restaurant specializing in a style of cuisine featuring an impressive variety of fresh, raw fruits and vegetables. Students were able to sample several of the food plants they had encountered at the microscope during the week. To savour the flavours of the archaeobotanists’ labours, was a great way to celebrate the end of the course. May 19, 2015 in Staff News.